Now that The Defenders season 1 has officially arrived on Netflix, the streaming service can start focusing more on Frank Castle. The Punisher season 1 is finally going to arrive later this year, but outside of an awesome first teaser trailer, the series has remained a bit mysterious. It looks like the mystery is starting to unravel, as Marvel and Netflix have revealed the episode titles for The Punisher season 1, as well as confirming that there will be 13 episodes to enjoy. As if that wasn't enough, we also have another new promo, which may be teasing the show's opening credits. The episode titles for The Punisher season 1 were revealed via the show's official Twitter account. Just because Marvel and Netflix couldn't handle not having a little fun with fans, they actually sent the episode titles out in a series of tweets in Morse Code. Luckily, it was relatively easy to decipher, so all of the titles have now made their way online. And some of the titles are pretty revealing. Perhaps the most notable of the episode titles is for episode 3. That particular episode is titled Kandahar, which is where Frank Castle was stationed during his time in the service. That implies we could be getting some flashbacks to his time in the war which would give us a window into the character's tragic backstory. Another very interesting title for The Punisher season 1 is the finale, which is titled Memento Mori. That just so happens to be French for "remember that you have to die." Jon Bernthal absolutely stole the show during Daredevil season 2. 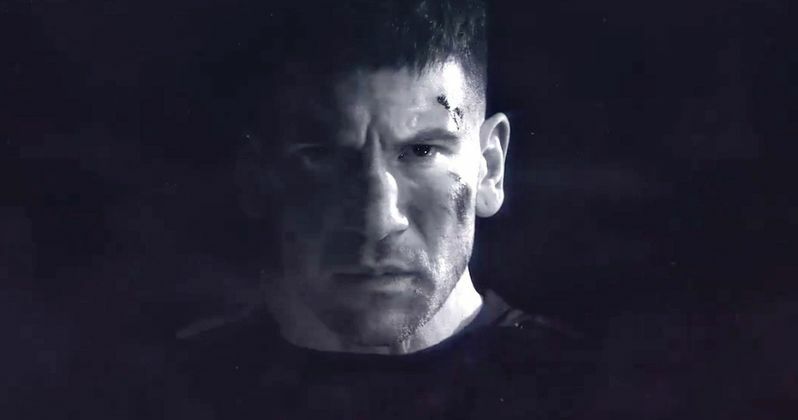 The character of Frank Castle was introduced in that show and Bernthal gave fans the version of the Marvel favorite that they have always wanted. Since the response was so positive, that gave Netflix the confidence to green light The Punisher spin-off series. Netflix has yet to announce an official premiere date, but it is said that the show will debut in November at some point. Here are the episode titles: S01E01 - 3 A.M., S01E02 - Two Dead Men, S01E03 - Kandahar, S01E04 - Resupply, S01E05 - Gunner, S01E06 - The Judas Goat, S01E07 - Crosshairs, S01E08 - Cold Steel, S01E09 - Front Toward Enemy, S01E10 - Virtue of the Vicious, S01E11 - Danger Close, S01E12 - Home, S01E13 - Memento Mori. As for the new promo that Netflix released for The Punisher, it definitely looks like a credit sequence and gives us a look at the full cast for the show. However, it wasn't billed as a credit sequence so, at least for now, we can't say with certainty that's what this is. In any case, it gives us some more footage to chew on until the series arrives. Be sure to check out all of the episode titles for The Punisher season 1, as well as the new promo, for yourself below. - .-- --- / -.. . .- -.. / -- . -. -.- .- -. -.. .- .... .- .-. --. ..- -. -. . .-. -.-. --- .-.. -.. / ... - . . .-..
-.. .- -. --. . .-. / -.-. .-.. --- ... .
-- . -- . -. - --- / -- --- .-. ..